The web site was created to shared information about the Blue Cloud monastic community. 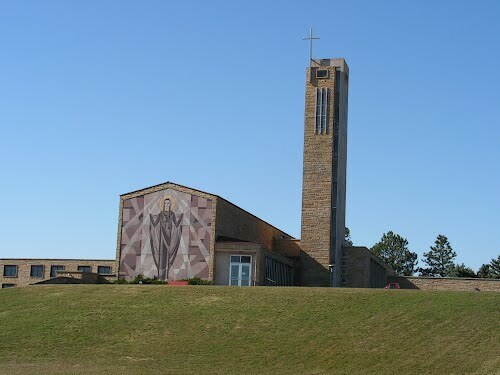 Blue Cloud Abbey is a Benedictine monastery located near Marvin, South Dakota. It is a member of the Swiss-American Congregation. The patron saint of the monastery is the Blessed Virgin Mary under the title of “Our Lady of the Snows”. Blue Cloud was founded in 1950 from St. Meinrad Abbey in Indiana. The monks were involved in ministry on several Indian reservations, but are now engaged in a variety of ministries. Currently the abbot is Fr. Denis Quinkert OSB. There are now twelve monks living at the Abbey in South Dakota and three living at the mission in Cobán, Guatemala. © 2019 Under the Blue Cloud All Rights Reserved.